The links between physical activity, nutrition and obesity are irrefutable, yet many Americans are misinformed and uneducated about how to make positive lifestyle changes through fitness and nutrition. Recent studies indicate some promising prospects in reversing obesity in children through gardening, cooking and education. Because many families have limited access to fresh fruits and vegetables, children are often unfamiliar with them and shun fresh produce in favor of sugary processed substitutes. A 2013 pilot study published in the “American Journal of Preventive Medicine” found that when involved in the growing, harvesting and consumption of garden fruits and vegetables, overweight children’s body mass index improved significantly over time. Educators are taking a fresh look at how we educate children with regard to physical fitness and health. Rather than focusing on competition and performance, pilot programs like UCONN’s Growing Great Schools program seek to enhance physical literacy of students. Physical literacy encompasses topics of nutrition, physical activity and weight management, emphasizing food as fuel and sport as play. 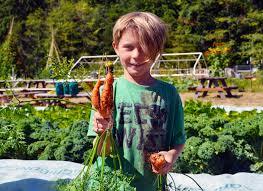 The program encourages schools to include gardening, cooking and physical activity to teach children about self care. Another promising program for children in K-2 grades is the Growing Healthy Kids through Healthy Communities initiative. The program focuses on educating and raising awareness about the important role nutrition plays in overall health. Teacher education and training are foundational to the program, equipping teachers with the skills and confidence to teach nutrition principles and awareness. Still in its developmental stages, the program’s initial evaluations in pilot schools showed significant improvement in students’ nutrition knowledge and eating behaviors. As a fitness leader in your community, you can have significant influence over your school district’s policies and programs. Raising awareness among educators and administrators about child obesity and its devastating health effects is a good place to start. Providing information about programs like Growing Great Schools and Growing Healthy Kids to school board members and teachers will raise awareness and provide a blueprint for local schools. Serving as a volunteer in community and school gardening programs will give you a platform to share your knowledge about fitness and healthy nutrition. Our children are the future, and W.I.T.S. is dedicated to preserving health and wellness for generations to come. As a Certified W.I.T.S. professional, you have the credentials and the knowledge to make a profound impact on future generations. Get started today with a Certification in Personal Training, Lifestyle Fitness Coaching or Youth Fitness. Follow up with continuing education in topics like Nutritional Concepts, Exercise Program Design for Special Populations, Youth Fitness Foundations and Youth Fitness Practical Review. You are the future of fitness. Be sure to get your Digital Badge to show the world that you are ready to take on the challenge of obesity and its impact on human health. Castro, DC, Samuels, M and Harman, AE (2013). 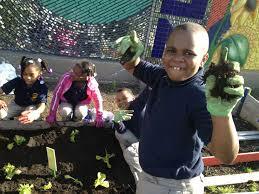 Growing healthy kids: a community garden-based prevention program. American Journal of Preventive Medicine, 44(3), 193-199. Growing Great Schools: Physical Literacy. Retrieved from http://www.growinggreatschools.org/physical-literacy. Vierregger, A, et al (2015). 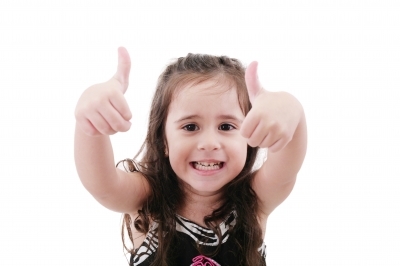 Growing healthy kids: a school enrichment nutrition education program to promote healthy behaviors for children. Journal of Extension, 53(5).